A strong yet somewhat curious feature set lets this camera fill a number of roles, including smart-home hub. An irony of Wi-Fi security cameras is that the very thing that enables their many strengths—internet connectivity—is also its their most glaring weakness. All it takes is a spotty connection for your camera to go dark at the wrong time. The Link-U, billed as the world’s first ever “hybrid connection” camera, promises to eliminate that risk. The Link-U’s hybrid design refers to a couple of features. Most significantly, it can connect to the internet via hardwired ethernet, Wi-Fi, or an internal LTE modem. This allows it to automatically determine the best connection option depending on your situation, and to switch fluidly between them as you move the camera to different environments. Just be aware that you'll need to sign up with a 4G LTE service provider to take advantage of this feature (in the U.S., that would be AT&T, T-Mobile, or any reseller using those networks). It also refers to the camera’s dual power sources: Power over ethernet (PoE), courtesy of a 24-watt PoE injector accessory, or an internal 3700 mAh battery that provides up to eight hours of life. Curiously, one thing that’s not included is a conventional AC power adapter. The upshot of this unique design is if an intruder cuts your electrical power, and by extension your internet connectivity, the Link-U will remain operational to capture evidence of the break-in. The Link-U uses hybrid connectivity to provide always-on security. 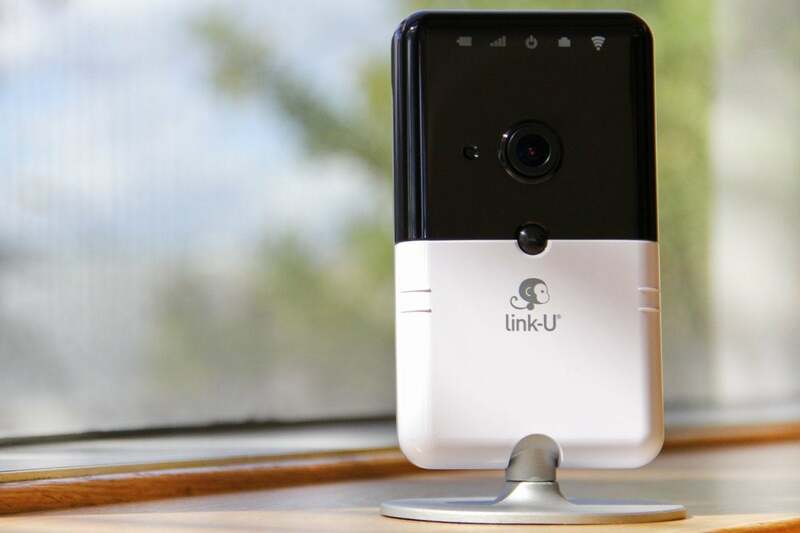 The Link-U is also outfitted with a Bluetooth LE (Low Energy) radio that allows you to connect to a range of Sigma Casa smart-home devices, including door and window sensors, light bulbs, power plugs, and smoke detectors. So it’s not only a security camera, it can also function as a smart-home hub.There’s an important limitation on this score, however: The Link-U can support only eight Bluetooth devices. Beyond those unique design elements, The Link-U boasts most of the now standard security camera features: a wide-angle (130-degree field of view) lens, 1080p resolution, LED infrared night vision (up to 25 feet), and sound and motion detection. Event-triggered video clips are recorded locally to up to a 32GB microSD card (not included). The Link-U app doesn’t include a timeline of video clips but requires you to search for them instead. Setting up the Link-U is a pretty smooth and simple process. Just tap the plus sign in the companion app to add the device; plug the Link-U into its PoE injector; connect the injector to your internet gateway, router, or switch; and scan the QR code on the back of the camera. With that, you have a live feed of the room. I wanted to untether the camera from my modem, though, and that proved tricky as the included documentation is scant and the app doesn’t walk you through the process. After poking around the app for a bit, I finally found what I need to enable Wi-Fi connectivity under the settings. The camera’s video quality is excellent, with sharp detail and balanced lighting even at lower resolutions. When viewing the live stream, you can trigger the camera’s built-in mic to speak with any family members at home, soothe your pet, or startle and intruder. 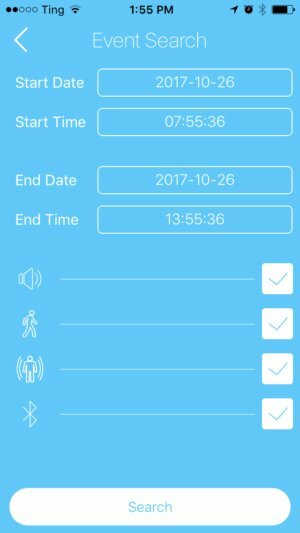 You can also capture a video clip by tapping a record button that displays on screen and selecting a duration of 5, 15, or 30 seconds. I switched between LAN, Wi-FI, and LTE connections throughout my time with the Link-U and enjoyed uninterrupted connectivity. But it should be noted that though you can stay connected even outdoors, the Link-U is not weatherized and should not be used as an outdoor camera or used at all in the rain. While the Link-U camera itself worked well, the app was more problematic. First, there’s no timeline or library interface to view your video clips at a glance; instead there’s a search feature, accessed by pressing a calendar icon on the main screen, that allows you to filter results by date and detection type. It works, but it’s not the most elegant solution, and the calendar icon—which usually symbolizes a scheduling feature—is hardly an intuitive way to label video access. I found it troublesome, however, when I got a motion detection notification. If the feed doesn’t reveal what triggered the notification because the activity has stopped, then you have go through the process of searching the event list for video that captured it and by the time you find it, whomever triggered it may be gone. You can add Sigma Casa accessories to have the Link-U double as a smart home hub. All that said, event detection was timely and accurate and and the associated video clips were clearly identified by the type of trigger. I connected the Sigma Casa light bulb and weather sensor to the camera as well. Once paired, a slider control for the light bulb appears on the camera’s home screen, allowing you to dim or shut off the light. Weather data—including temperature, air pressure, and humidity—also appeared on this screen after I paired the weather sensor. 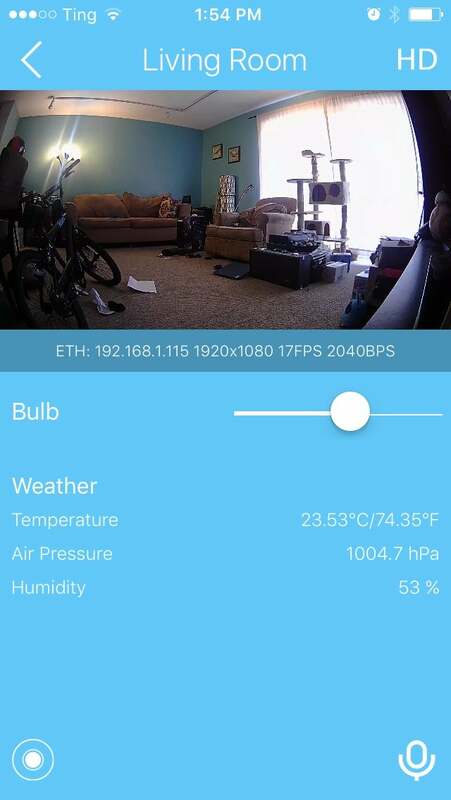 This is a nice feature if you want the camera to double as a smart-home hub, as it provides an easy way to explore the world of home automation. But from a security standpoint, it’s hardly essential as you can’t have the camera, say, automatically turn on the light bulb when it detects movement. 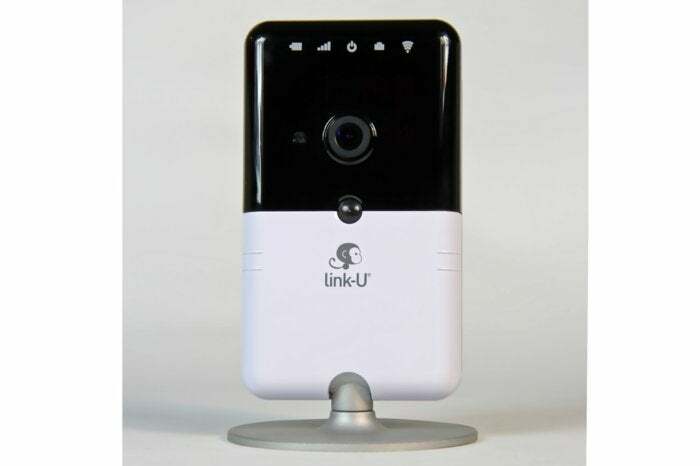 The Link-U 4G is a solid security camera if portability is a high priority. Its hybrid connectivity is definitely its strongest feature and makes it an attractive option if you travel a lot or want to bring your security camera along on camping trips or other out-of-the-way sojourns. But its app right now isn’t nearly as polished or intuitive as most of its competitors’, and that makes it a less compelling option for people who just want a camera to monitor their living room or yard. If you do decide the Link-U is a good fit or you, make sure to avail yourself of the more detailed user manual available on the Link-U site to help you navigate its many features. You'll find the Link-U at Amazon selling for $299.99, but during the month of November, you can buy it direct from Link-U for $199. The Link-U 4G SmartCam with is a quirky security camera if portability is a high priority, but its app could use some work.